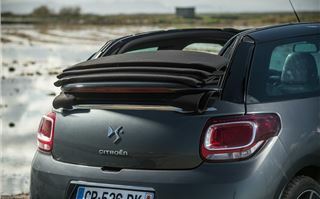 Citroen launches its new DS3 Cabriolet and hopes that it will steal sales from MINI and Fiat. 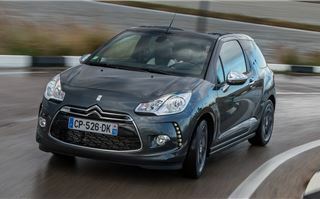 But does the new canvas-top premium supermini have what it take to beat its retro-styled British and Italian rivals? 'Anti-Retro'. 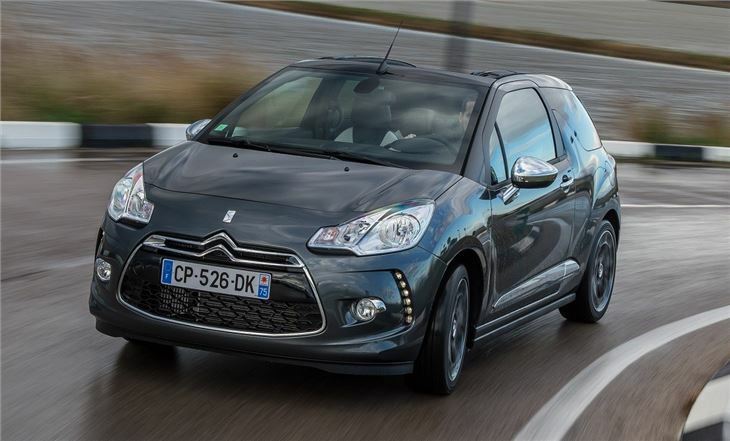 It's a bold statement that Citroen marketeers talk about when selling the funkily-styled DS3. It's a bold statement considering the two most recognisable challengers in this market sector - the MINI and Fiat 500 - both major on their classic forebears. But in order to make a splash, the company decided to confidently re-boot the old DS name, attaching it to a family of desirably-styled cars that sit apart in a niche above their mass-market counterparts. And it's worked - in 30 months, 300,000 DSs have been built. The lion's share of that has gone to the DS3. Since 2010, 200,000 have rolled off the line at Poissy in Northern France. So, it's been a success. The most interesting aspect of the story is that 73 per cent of DS3 customers are new to Citroen. From where, Citroen won't say, but one of the marketing team told us that the customers the company most covets are MINI's. And in order to fight MINI head-on Citroen needs to expand the range (there are seven MINI variants currently), and a soft-top is a good starting point. 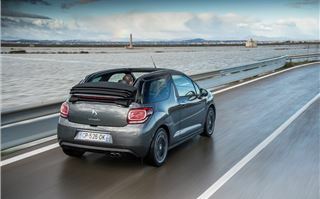 But while formulating the new open-top DS3 Cabriolet, Citroen decided to eschew the conventional convertible, and go for a folding canvas top (co-developed with Webasto), similar to the Fiat 500's, and vaguely reminiscent of cars from its back catalogue, such as the 2CV, Visa Cabriolet and C3 Pluriel. The engineering changes are kept to a minimum - there's a little chassis strengthening, some additional cross-bracing around the base of the roof opening, and some weights that act as mass-dampers behind the rear wheels to minimise structural shakes. In total, there's a 25kg weight penalty. 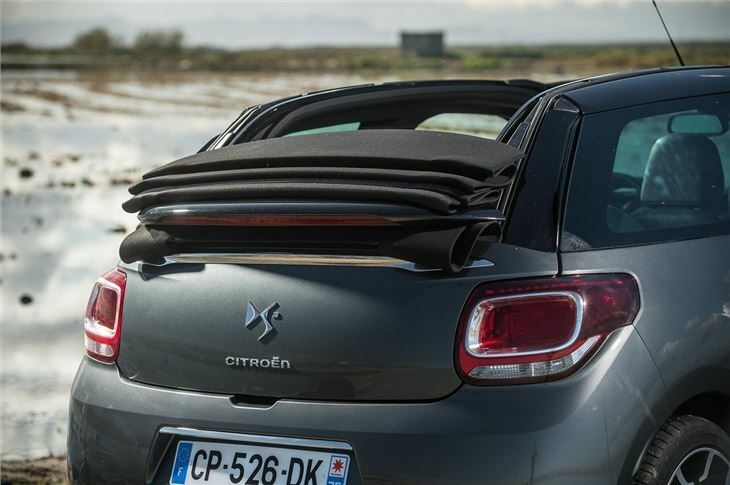 For those wanting the full wind-in-the hair experience, this might be a tad disappointing, but Citroen's argument for this approach are that you lose the day-to-day compromises - and to prove it, they've made it so you can electrically roll it open or closed at up to 75mph. To entice buyers into the DS3 Cabriolet, Citroen is pushing the personalisation aspect hard. There are seven colours, eight choices of upholstery, six types of trim, seven wheels styles, and three roof designs. That makes more than 7000 combinations - before you even take into account equipment choices and engine variations. 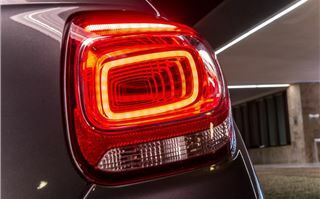 The styling looks almost unchanged, aside from the attractive new 3D rear lights, a small boot spoiler and other aerodynamic tweaks. 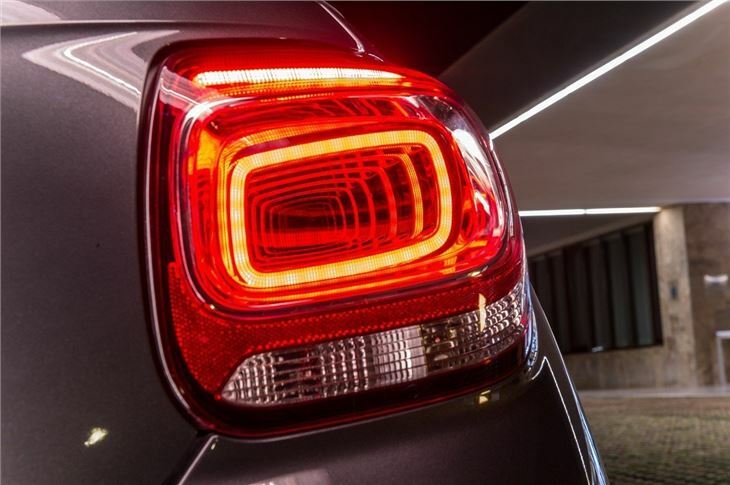 These combine with agreeable chrome detailing of all DS3s to underline the premium feel of this car. 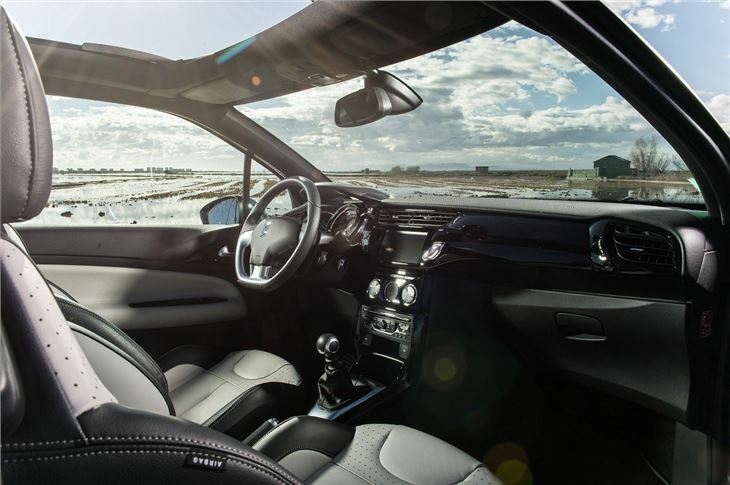 Inside, the premium feel continues. 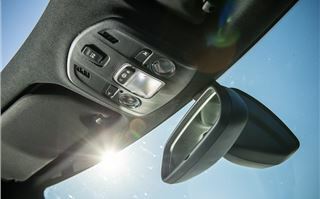 Trim materials and colours are well chosen, and look classy, while all of the major controls feel good to touch. The driving position is excellent, and aside from the slightly confused switch gear in the centre console (the combination of buttons and a single knob for the infotainment system is counter-intuitive), it hangs together as well as it ever did - and feels special in doing so. 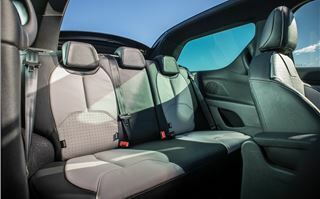 Rear-seat room is also a revelation after a MINI or Fiat 500 - with a pair of adults having plenty of room, although Citroen's assertion that the DS3 will take five might well be technically correct, we'd rather think of it as a useful four-seater. As for the the boot - yes, it might be the largest in its sector at 245 litres (and 980 litres, seats folded, loaded to the roof), and the lid's mechanism is clever, folding outwards upwards in a gentle arc to remain flush with the car, but its opening is comically small. Taller drivers will just end up posting in luggage blind through a very narrow gap. On the road, it certainly doesn't feel vastly different to the standard DS3. So that means it retains its sweet gearchange and keen handling. The steering isn't as responsive as a MINI's, and it doesn't have that car's lauded go-kart feel, but the pay-off is a more comfortable, mature, ride. 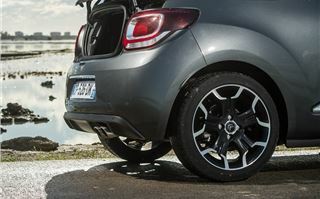 On the 17-inch wheels fitted to our THP 155 test car, it soaked up rougher A- and B-roads very well indeed. On the motorway, it will cruise at the legal limit all day long, with only the additional wind rustle to give the game away. Performance and responsiveness from the 1.6-litre turbo (shared with the MINI Cooper S) is excellent - and pretty much identical to the hatchback. 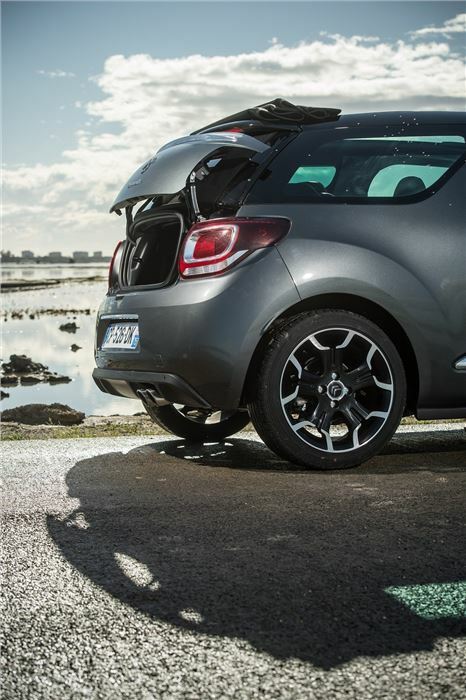 And it's refined here, too, which suits the DS3's easy-riding nature. We like the way the roof operates. 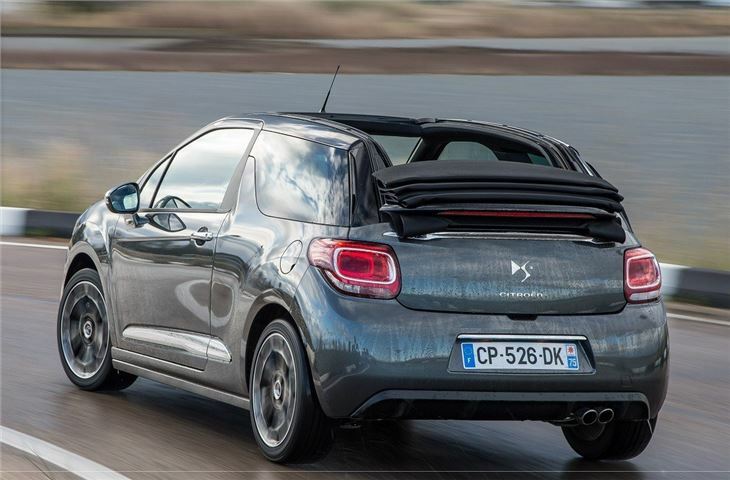 In mixed-weather, the ability to lower and raise the roof without slowing down should not be under-estimated (compare the DS3's 75mph to Fiat's 37mph and MINI's 20mph to get the full picture). It takes 16 seconds to fully open or close, there are three positions - intermediate, horizontal and total - and the only downside is that it's not operated by a one-touch switch. 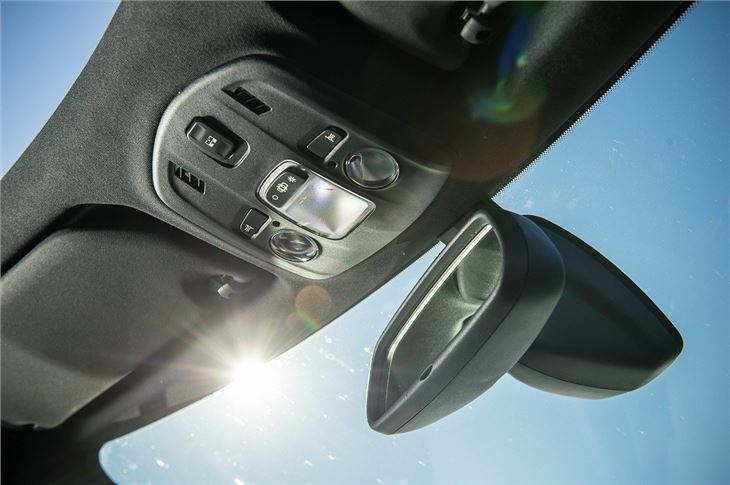 Around town, front three-quarter visibility is compromised by the bulky A-post, mirror and quarterlight, and that makes approaching roundabouts a bit of a head-swaying affair. And when the roof's all the way back to its lowest position, you'll be reliant on the door mirrors only. 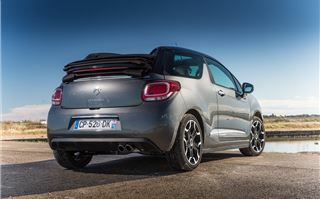 Sensibly, Citroen has made the rear parking sensors standard across the Cabriolet range. The UK line-up from launch will be limited to the petrol engines. 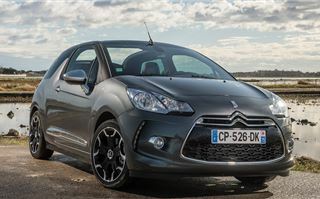 Citroen speaks of the diesel convertible being a niche with a niche, citing MINI's 10 per cent diesel take-up in the UK for the decision. 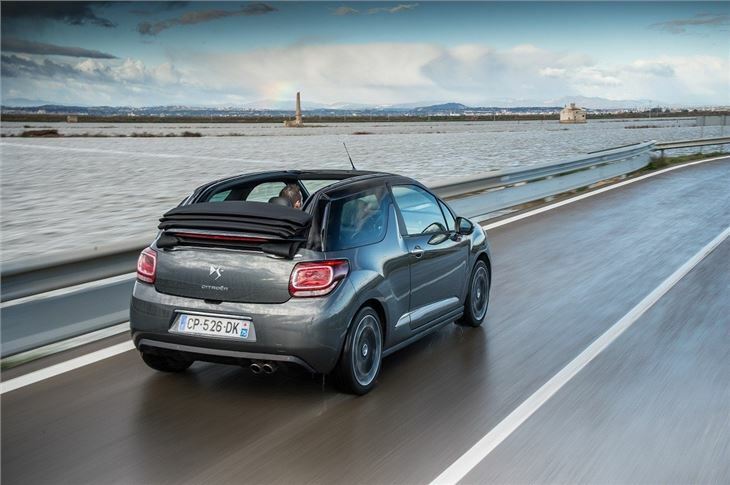 But we reckon they're missing a trick as it means the DS Cabriolet range is missing a sub-99g/km 'eco' car. And that leaves the VTi 82, VTi 120 and THP 155, with an all-manual gearbox line-up. The cars will be offered in DSign, DStyle and DSport, with equipment levels identical to the hatchback, other than rear parking sensors. Official prices haven't been announced yet, but are likely to span £15,000-19,600. And that pricing is worth noting. The DS3 before options isn't cheap, but with four useable seats, that versatile roof, and its well thought out and quality feel interior, there's a lot going for it - lack of UK diesel option aside. 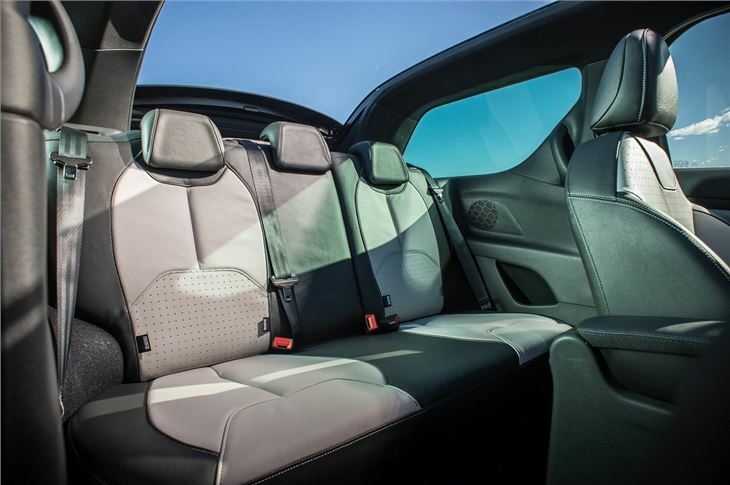 The roof-chop certainly doesn't turn the DS3 into a full cabriolet, but the adaptability and all-round usability more than make up for this - especially for part-time sun-lovers like us Brits. And overall, the DS3 Cabriolet is certainly worth a serious look for those who want their premium small car to look like it's from the 2010s, rather than a pastiche of the '50s.